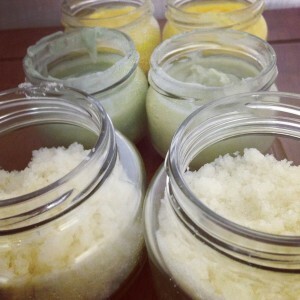 1///// Started the week off with a bang making homemade lotion and a sugar scrub. (Thank you Amber! )I’ll post the recipe soon…or you can just go to Amber’s blog and check hers out! 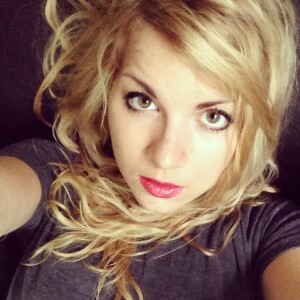 2///// I broke a record and went a whole SEVEN days without having to wash my hair. By day seven I’m proud to say my hair was still fairly fresh feeling. 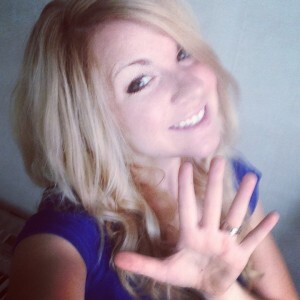 I couldn’t believe on day five I could wear my hair down! Have you read my last post about not using shampoo? 3/////I also severed ties with any sort of my ‘tomboy’ self that may have lurked around from childhood. I bought two different shades of lipstick. I still am in slight denial as this picture clearly shows. 4///// I’ve always had a crazy love for cherries. As a matter of fact, I have absolutely no self-control when it comes to eating them. Place a 5lb bag in front of me? You better believe I’ll be sitting there until the sun goes down munching away until there aren’t any left (or I get terribly sick). Unfortunately cherries cost nothing short of an arm and a leg in Korea; I’m talking a good 10 dollars for 6 or 7 measly pieces of fruit the size of a quarter. For some reason I haven’t been able to justify spending that much. 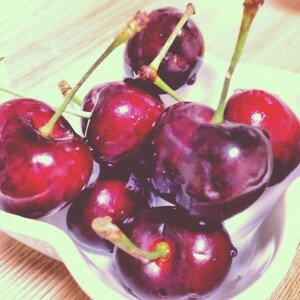 Then this week happened and I was gifted with a handful of cherries. Twice. From two different students. My life is now super awesome. 5/////Meet Annie. She’s pretty much the cutest little girl I teach right now. She’s only 3 or 4 years old, but she has quite the personality. Every time I enter her class she’s the first one to meet me with a life story as to how she got every little bump, bruise, and invisible hurt on her body. All in Korean of course. I spend my time rotating the few sympathetic Korean words I know: “괜찮아요?” (gwean-chanh-ayo) meaning, “Are you ok?” or “진짜?” (cheen-cha) meaning, “Really?” She always nods and tells me “Yes.” So freaking cute. 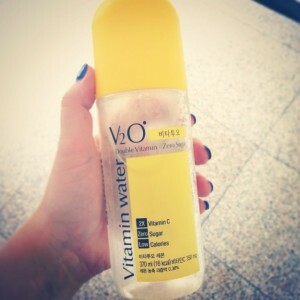 6///// I found this cool Vitamin Water at the local GS mart the other day. I’m not convinced all the way that it’s really from the Vitamin Water company…actually I just googled it and it’s not. Here goes Korea again with it’s lack of copyright rules. 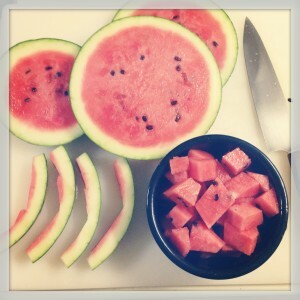 7/////I bought my first watermelon of the summer! It was 14 dollars, but it’s been 14 dollars well spent. I have no regrets. Derik and I have been enjoying it for dessert after every meal(I decided to share after I ate half of it last night and spent the evening going to the bathroom every 10 minutes). 8/////Jazz was a grouch today, but I’m pretty sure it’s because I didn’t feed him his usual treats with his food today. He always looks forward to those. 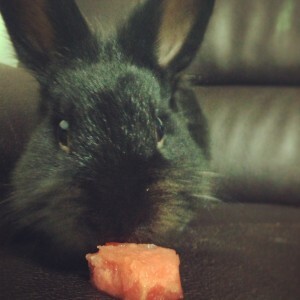 We made amends when I gave him his own little tasty watermelon treat.